If you are intersted in having a child attend Sacred Heart, we invite you to call our school office (704-633-2841) to schedule your personal tour of our campus and to meet our staff and faculty. (Map showing our location.) We look forward to seeing you! We are excited about your interest in the school that strives to offer the very best in educating elementary and middle school students. You will find useful information on the School Profile page, and answers to common questions are found on our Frequently Asked Questions page. Our strong academic reputation is built upon the foundation of promoting and proclaiming the teachings of Christ. Our students are encouraged to apply their skills and talents in a wide variety of activities, athletics and opportunities. Through academic challenge, character building and friendships your child will be inspired to develope emotionally and intellectually in a way that will last a lifetime. Our mission is to proclaim the Good News of the Gospel and to develop each student spiritually, intellectually, physically, emotionally and socially, so that each is prepared to live and serve in a changing society as a self-respecting and responsible citizen. We propose to create an environment in which the teachings of Jesus are promoted and proclaimed as the basis of the values they teach and uphold. 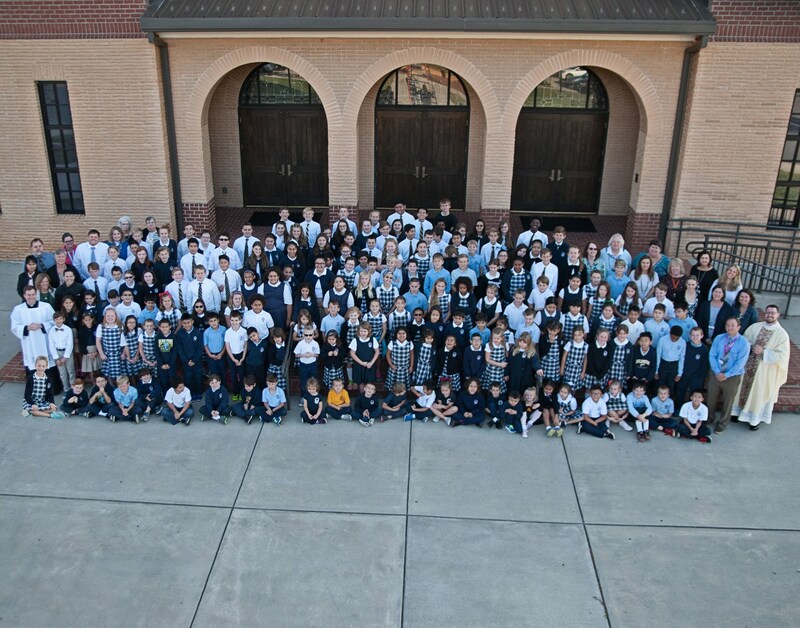 Sacred Heart Catholic School proclaims the Gospel's Good News in word and deed, and educates students to live and serve as respectful, Christian citizens.